Jeremy Webb meets the clients and staff of HWM Aston Martin, the longest-serving Aston Martin dealership in the world. 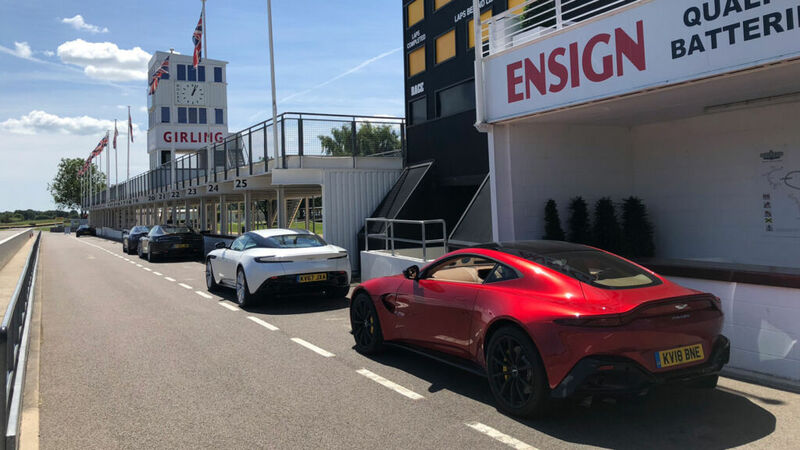 On a gorgeous sunny day at Goodwood Motor Circuit in West Sussex, twenty Aston Martins gathered to speed around one of the most iconic racing arenas in motorsport. A very fitting location to host one of Britain’s best-loved marques. A track that saw Stirling Moss end his career after spinning out and being thrown from his car. Now being used by HWM who as a manufacturer of their own racing cars gave a fledgeling 20yr old Moss a drive. Hersham and Walton Motors were set up by John Heath and George Abecassis after WW2. They immediately started building their own race cars. This was before BRM, Vanwall or Connaught. Over HWM’s seven-year life as a racing car manufacturer less than two dozen were built, but some 70 per cent of the entire production survives today. The company built and raced Altas, and had a connection with Jaguar using their engines in some of their cars. For 1951, the works HWMs grew up into proper F2 single-seaters, and the team’s European exploits continued over the next three seasons. Other young drivers to cut their teeth in the green cars included Peter Collins, Harry Schell and Paul Frère. But the beautifully built HWMs tended to be heavier than their opposition, and the Alta engine, ever more highly tuned to try to stay competitive with newer machinery, was becoming less reliable. So HWM then turned its thoughts to the sports-racing class, and in 1953 fitted a modified F2 chassis with a Jaguar engine and an all-enveloping two-seat body. Registered HWM 1 (later YPG 3), this first works HWM-Jaguar proved to be lighter and better handling than the C-type Jaguars. In the hands of Abecassis and others, it was very successful in British racing. Two more were built for customers, and all three are still active in historic racing today. A fourth was supplied as a kit of parts to receive a Cadillac engine, and is now in New Zealand. Meanwhile, hillclimber Phil Scragg was terrorising the hills, first in an HWM-built, Alta F1 chassised, cycle-winged sports car and then in a purpose-built HWM-Jaguar which has been happily raced and hill-climbed by a succession of owners ever since. Abecassis himself sketched out the bodies of each HWM and, for the second generation HWM-Jaguars in 1955, he designed a neat functional new body. Two works cars were built: George’s was registered XPE2 and the second, for Heath, took over the HWM 1 number plate. It was in this car that John Heath decided to enter the 1956 Mille Miglia road race around Italy. In driving rain, he lost control near Ravenna and the car hit a fence and turned over. A few days later Heath died from his injuries. That, sadly, was more or less the end of HWM which still promised so much. Abecassis did build up one more chassis as a dramatically styled road-going coupé, but he gave up racing to concentrate on his burgeoning garage business. 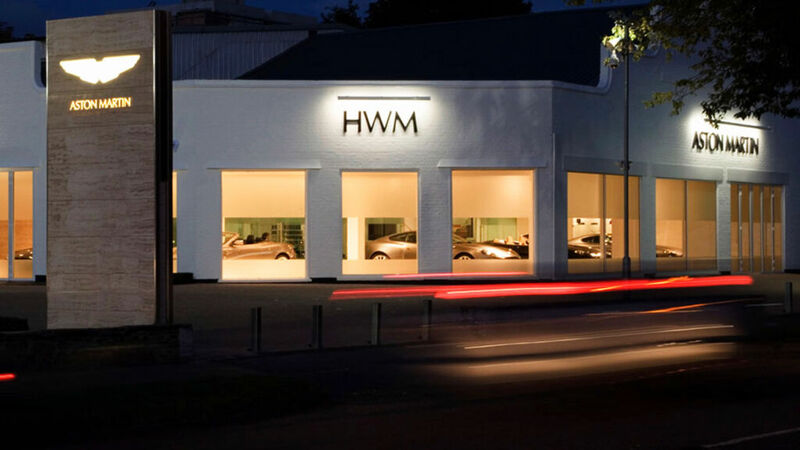 HWM was appointed as an official Aston Martin dealer in 1951 and has been selling, servicing and providing parts for Aston Martins for over 60 years. During my day at Goodwood, I spoke to many HWM clients who highly praised the company for their professionalism, Customer support and in-depth knowledge of their brand. This enabled people to choose their model of Aston Martin with great confidence. Mark Lawless was one of the customers I spoke to. He had brought his 67 plate manual Vantage down for the day. This was his second Aston Martin and he was kind enough to drive me around the circuit quite a few times. Needless to say, we both thoroughly enjoyed it. Mark owns his own construction and development company and lives in Hampshire. 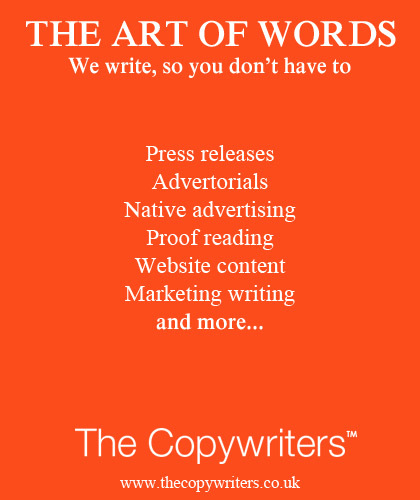 HWM hold many events through the year to engage with their clients. 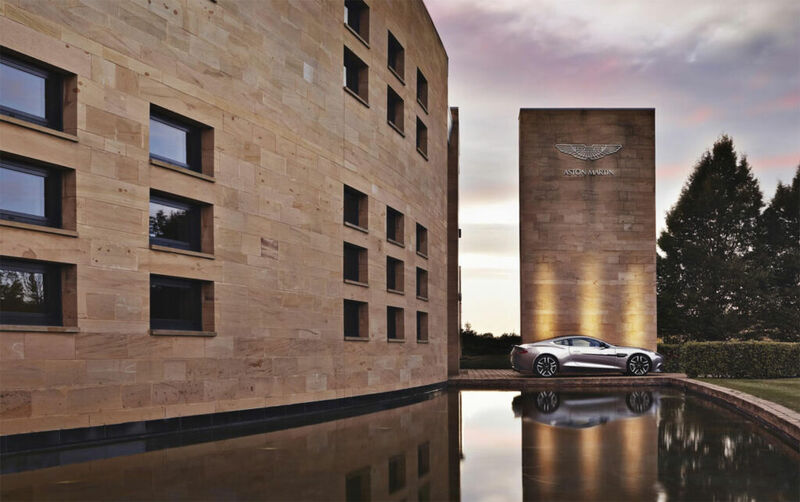 Track days, launches and organised visits to the home of Aston Martin, Gaydon. I spoke with HWM Managing Director Guy Jenner who I have met before at the dealership in Walton on Thames. Guy had just been up to Gaydon to preview what Andy Palmer ( CEO Aston Martin) and his team have been working on for this year and into the future. A lot of things Guy saw and heard about are embargoed as was the new DBS Superleggera, until Wednesday 27th July. He said, “there are some very special projects coming out of both Gaydon and St Athan the relatively new facility in Wales”. I tried to push him to divulge more but it is like asking Q to tell Bond more information about his car. 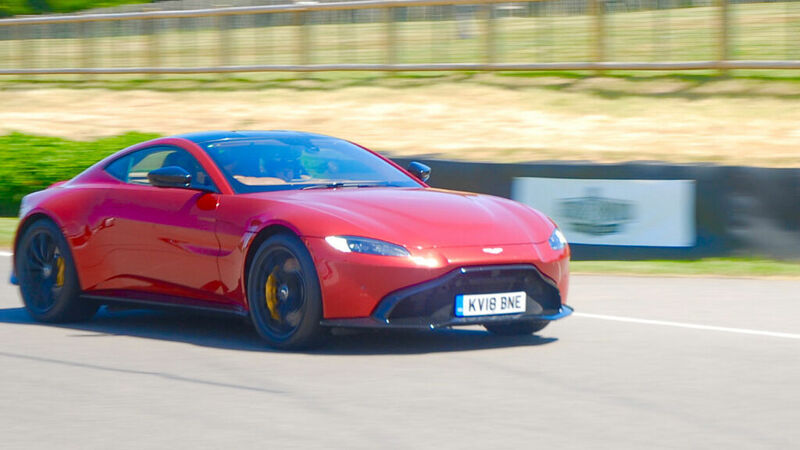 There were two of the newest models available to drive around Goodwood, with the Vantage and DB11 V8 present. 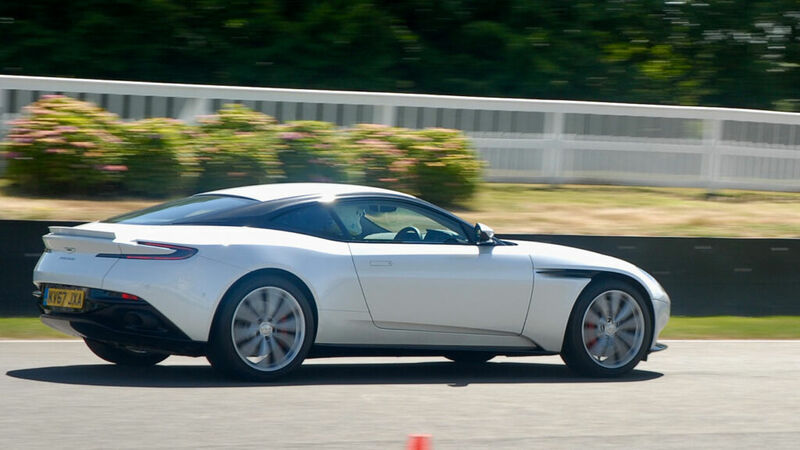 I was given the chance to take the DB11 out and boy is it superb. It comes to life on a track and every bit of design functions to allow you to enjoy the experience. Speed, noise, feelings, as adrenaline flows. Driving a car that is not yours is allows daunting and then to be told by the instructor “it’s ok to push harder”, well it is fantastic. The laps shot by and I sadly had to return to the pit lane. My face was beaming. I want one please Guy. I didn’t manage to get on the circuit in the Vantage as it was very popular as you can imagine so no slots came up. Next time I hope to get into one. Throughout the day staff from HWM looked after the guests superbly with food and drink which was very nice. I had a fantastic time thanks to Guy and his staff and I hope to see them at another HWM event soon. I totally recommend them as a dealership as do all the customers I spoke to in the course of the day. 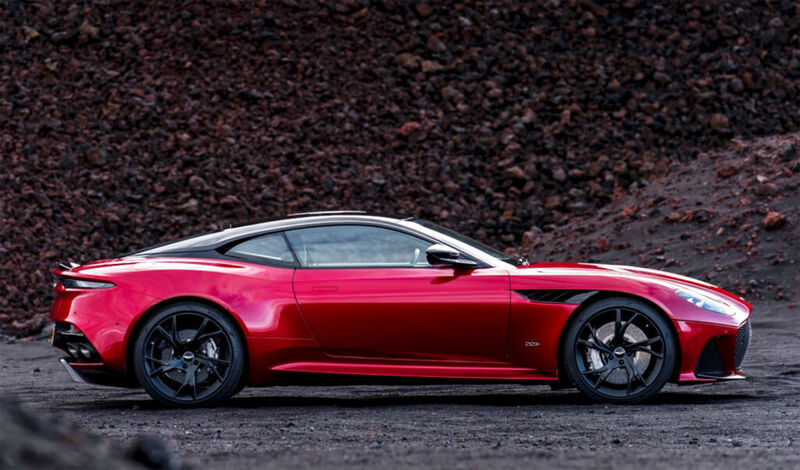 HMW Aston Martin – Where and how?